Great news! Bitrix24 has a new feature which will make your life a bit easier. Our CRM already helps you capture the prospects visiting your website and increase the efficiency of your sales. 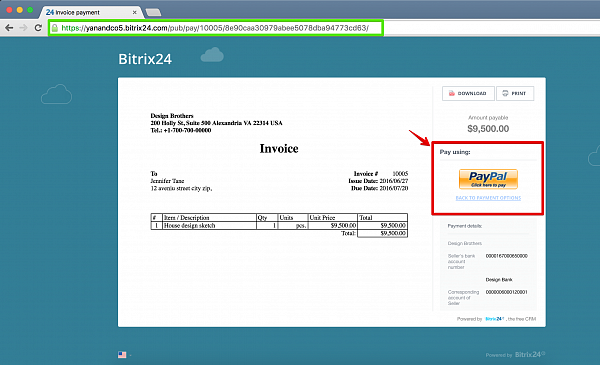 Now Bitrix24 CRM can accept payments from your customers online! 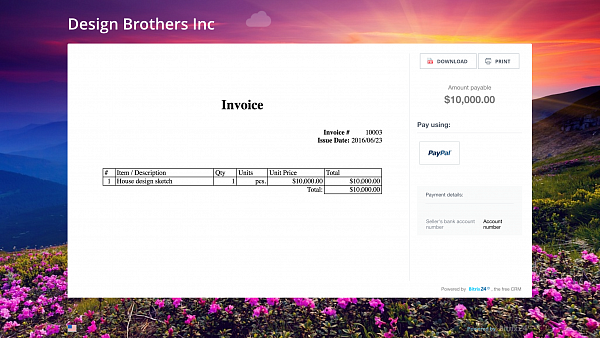 You have probably noticed a new Invoice Link tab inside your Bitrix24 CRM invoice page – this is a long-awaited online payment option. You can copy the link and send it to your client. Simple, secure and intuitive invoice webpage layout will help your client to make the payment faster. We have started with Paypal integration, Authorize.Net is coming soon as well. After the payment is processed, your Bitrix24 customer record will be updated accordingly. That’s it! Even if your office is closed or your staff is on vacation, clients can still make purchases & you will be closing more deals faster. Increase your profit and accelerate productivity with Bitrix24 sales automation options today!